Barcelona have reportedly contacted Chelsea about a potential transfer swoop for young defender Andreas Christensen. The Denmark international has not been a regular for the Blues since Maurizio Sarri replaced Antonio Conte as manager, but has long been rated as a top talent for the future. According to Sport, Christensen is now being eyed as a possible target for Barcelona if Samuel Umtiti’s injury proves serious and keeps him out long-term. Still, the report suggests Chelsea are not keen on letting the 22-year-old go in the middle of the season. 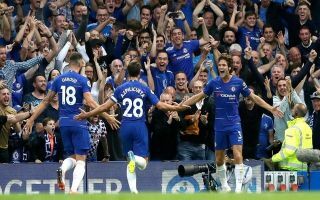 CFC could do with all the backup options and squad depth they can get over the course of this long season in which they’ll hope to break back into the top four and even challenge for the Premier League title. Sarri’s side also have the Europa League to think about as another route to silverware and a return to the Champions League for next season. Christensen could therefore still have a role to play, though one imagines Chelsea could struggle to keep hold of the player if a big club like Barcelona can offer him more playing time.